Mary Eileen McGowan, age 101, of Botkins, Ohio and formerly of Jackson Center, Ohio passed away at 1:57 A.M. Tuesday, September 11, 2018, at Heritage Manor in Minster, Ohio. She was born in Shelby County Ohio August 22, 1917, a daughter of the late Frank “BF” and Estella (Gerdes) Steenrod. On December 9, 1945, she married Eldon Ambos McGowan and he preceded her in death June 19, 2006. She was also preceded in death by an infant son, James Lee McGowan; two sisters, Ella Ford and Marcile Faler and five brothers, Richard, Roland, John, Louis, and Edison Steenrod. She is survived by a son, Doug (Mickie) McGowan of Botkins; three grandchildren, Jeff (Kim) McGowan of Botkins, Vonda (Chris) Coverstone of McCartyville, and Holly (Aaron) Lenhart of Jackson Center; five great grandchildren, Brooke (Brent) Schmerge, Austin McGowan, Cassie McGowan, Derek Coverstone, Hunter Lenhart and twin great-great grandchildren, Camden and Carly Schmerge. Mary was a 1936 graduate of Sidney High School and worked as a homemaker. 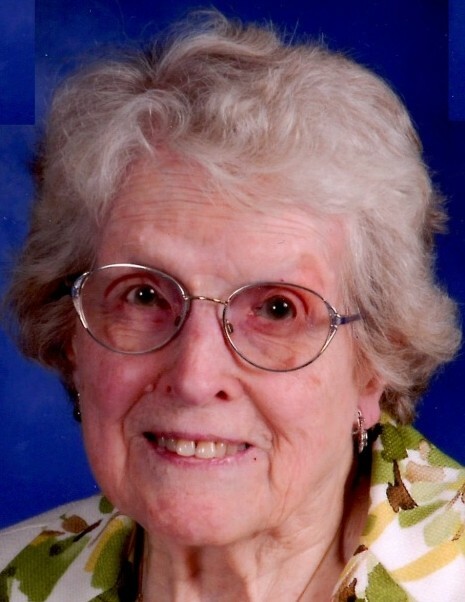 She was a long-time member of the St. Mark’s Lutheran Church in Clay Township and enjoyed volunteering at Auglaize Acres with other church members. She was also active with the Jackson Center Senior Citizens and enjoyed watching the Cincinnati Reds. Rev. Charla Greives will officiate a graveside service at 1:00 P.M. Saturday, September 15, 2018, at the St. Mark’s Lutheran Church Cemetery. Following the graveside service there will be a celebration of Mary’s life with a luncheon at the home of Mary’s son and daughter-in-law located at 15840 Lock Two Road, in Botkins.